In the 1980s, canine rehabilitation caught on in Europe and later in the US, and the demand became so great that vet colleges started to offer it as a specialty. Today, canine rehab is taught formally in US vet colleges, and is the fastest growing specialty in veterinarian medicine. While agility exercises and physical training benefit healthy dogs that compete or work as rescue or police dogs, modified exercises can also help disabled dogs. The main goal of canine rehab is to enable the patient dog to get back as much function as possible after injury, surgery, or disease. If normal functioning is precluded, such as when the dog suffers from a progressively degenerative disease i.e. degenerative myelopathy, canine rehab can help the patient develop the right way of coping with their disability and lead a relatively normal life. 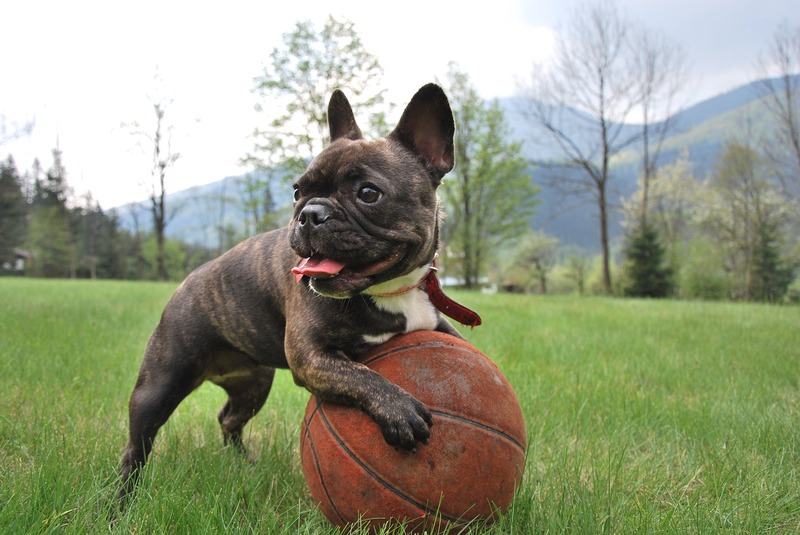 The biggest problem that a disabled dog may develop is atrophy of the muscles. This can happen quite quickly , sometimes after just a couple of days of inactivity. Early signs of incipient muscle atrophy include swelling in the area of the injury or surgery, shakiness or stiffness in the joints, muscles, and tendons, and diminished muscle control. Because of this, the sooner you do canine rehab, the better the results. While a dog that has just undergone surgery will not be able to do the normal weight-bearing exercises in canine rehab for up to several weeks, but it can do some activities in water within a few days post-operatively. Of course, a post-operative dog may not be allowed to do any weight-bearing activities for several weeks. However, canine rehab can take place in a pool much earlier, often a few days after surgery. Water provides some resistance, but also provides support when moving. Physical therapy using an underwater treadmill is a great way to get your dog’s muscles moving again without causing further injury. This includes natural gait functions such as walking, running, and trotting. Not only will it keep the muscles from atrophying, it will maximize its range of motion. Specialists will create a program appropriate for the dog’s condition. Canine rehab activities will have to meet a vet’s approval before therapy can begin. A course of rehabilitation can be as short as two visits or as long as three weekly visits for three months. Sessions are generally an hour, and progress is carefully documented at each visit. You as the owner will also be given a set of exercises for your pet to do at home. A canine rehab specialist may require the patient to use tools that will address balance issues such as wobble boards, rockers, physioballs, and therapy bands. These aids will also increase their coordination, strength, and flexibility. Getting the dog to walk on an irregular surface trains it to know where the feet are at all times (spatial awareness). This comes in handy when it changes positions. Canine rehab specialists properly trained in the manual manipulation techniques may perform them on the patient when needed. These are especially important for dogs with degenerative diseases, and include stretches, moving the joints, massage, and other exercises. Aquatic therapy is appropriate for dogs that may not be allowed to do weight bearing exercises. These include swimming and the use of an underwater treadmill. The water supports the patient’s weight to prevent injury, and at the same time exerts gentle resistance to improve cardiovascular function, range of motion, and strength that will increase its mobility out of water. Your canine rehab professional may also employ several techniques to treat some conditions. Cryotherapy contracts the blood vessels to reduce deep tissue and surface bleeding using ice packs. This helps keep inflammation down and relieve pain. One the other hand, heat therapy with warm towels dilates the blood vessels to promote healing, which also helps relieve pain and reduce inflammation. Extracorporeal Shockwave Therapy or ESWT – accelerates healing b transmitting highe energy waves through the dog’s body, generating heat the increases blood flow. ESWT can also reduce muscle spasms, swelling, and inflammation. It is especially effective in treating ligament and tendon damage, fractures, osteoarthritis, and hip dysplasia. Mobility is more important for your dog than you think. The absence of physical activity can have a significant impact on their physical, mental, and emotional health. While wheelchairs are important to their well-being of permanently disabled dogs in the long term, canine rehab helps them develop the proper coping mechanisms for their disability and make the most of any mobility they retain. Canine rehab together with good quality mobility aids can give your injured or disabled dog a new leash in life.